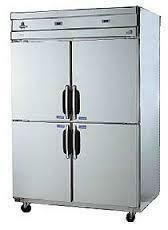 We are engaged in offering a comprehensive range of Water Coolers and Deep Freezers. It provides completely pure water for drinking and offers faster cooling. 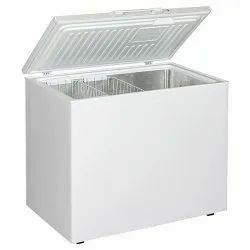 Our range of Water Coolers and Deep Freezers is at par with international quality standards and finds application in hospitals, hotels, restaurants and community houses. Available in numerous capacities, this equipment is also integrated with quality compressors. We are looking for queries for Steel Kitchen Equipment And Accessories from Tamil Nadu, Kerala, Karnataka & Andhra Pradesh. 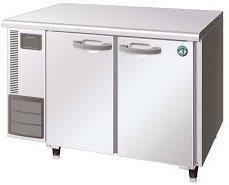 The world’s finest range of Hard Top Chest Freezers to suit every need in single lid variants from 100 ltrs. to 720 ltrs. 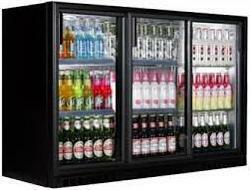 Bottle Cooler offered comes designed and developed using latest technology support and features compressor refrigeration with inner fan as well as R134a, R600a refrigerant. Further, these coolers can work in temperature range of 0 to 10 degree C and have working voltage of 220V/50Hz, 110V/60Hz. Some of its features include power consumption of 1.2KW.h/24h; double pane tempered glass door; mechanical thermostat; illuminated interior; support of lock & key; digital temperature display; self closing door. Along with retaining the basic features of Reach – in Cabinets, these undercounter refrigerators also prove to be work tables mounted on heavy duty lockable castors. Thus giving a combined feature of storage and preparation facilities, thereby enhancing the effectiveness of kitchen professionals. 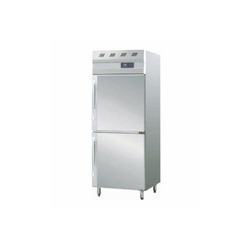 We provide an extensive range of Two Door Freezer, which is appreciated for its reliability, excellent performance and long working life. Precision engineered, it requires low maintenance and finds application in bakeries, confectioneries and restaurants. 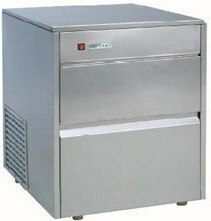 Being customer friendly, we also provide our range of Door Freezers in customized forms. Ice Machines are built around the high quality and best-in-class manufacturing, a wide variety of ice production and storage capacities, reliability and an extensive sales and service network. Available in a wide range - Ice Cubes and Flake Ice Machines in capacities varying from 20 kg to 1150 kg per day, these are perfect for use in hotels, restaurants, fast food outlets, bars, coffee shops, clubs, convenience stores, healthcare applications and more. 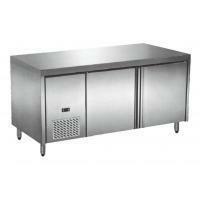 Looking for Deep Freezers and Water Cooler ?